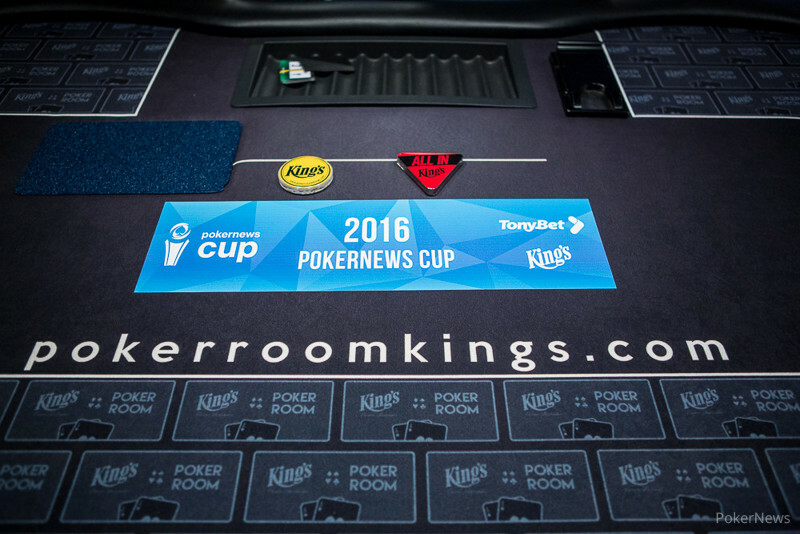 Day 2 of the €250 PokerNews Cup Main Event saw 251 hopefuls out of a 1,104 entry strong field return to the tables of the King's Casino in Rozvadov and only eight players remained when the chips were bagged up for the night. It's Day 1a chipleader Ronny Voth in the lead. The penultimate day started with 251 players still in contention and only 103 spots were paid. The action early on was incredibly fast-paced. After a total of only 14 full levels of 45 minutes each, the unofficial final table was reached and Sebastian Langrock busted in a three-way all in to miss out on the live stream spotlight today. Day 1a chip leader Ronny Voth surged into the lead in the last few levels and claimed 9,125,000. He is followed by Alin-Florin Toma with 7,480,000, the Romanian cracked the aces of Miroslav Lelek with pocket kings and sent Langrock to the rail, who had jacks. King's regular "Magic Man 558" follows in third with 5,735,000, while Timur Caglan (3,615,000) is in the middle of the pack. Ondrej Vlasanek (2,535,000) of the Czech Republic and Austria's Christian Sperrer (2,275,000) make it an international final table and aforementioned Lelek (1,280,000) as well as Jenny (1,100,000) are the two shortest stacks. The action will recommence at 1 p.m. local time in Europe's biggest card room and there will be a live stream with hole cards and commentary available. There are 16:49 minutes left in level 29 at blinds 60,000-120,000 with a running ante of 20,000 and all finalists have €4,460 locked up for their efforts. The winner takes home €44,707 and bragging rights. Among those to bust before the money were the King's regulars PiMo and Zarathustra. 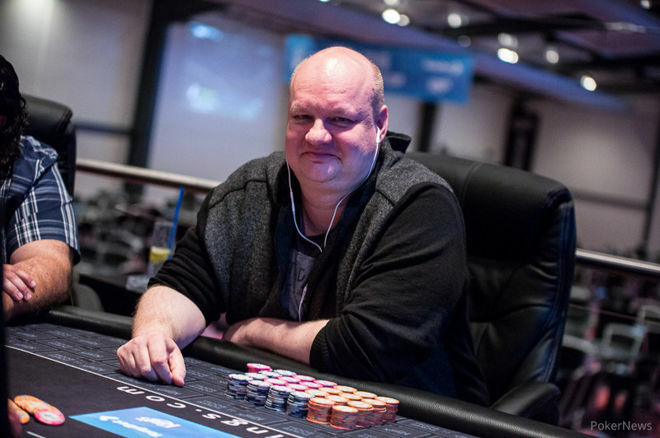 Martin Kabrhel, Deniz Sinanmes and Rakeťák were eliminated in a three-way all in and the bubble burst in the last hand of level 19 with the elimination of Andreas Thomas Gondrom. Within the next level, more than 30 players were eliminated and the two chip leaders at the start of Day 2, Giuseppe De Tomasso (64th) and Tippy333 (59th) had to settle for €755 each. There was plenty of drama with high pocket pairs also. Roman Montovsky ran with ace-king into the kings of Jiří Chládek, only for the latter to send his stack to "Magic Man 558" with kings versus aces. Tezer Cetindag had a roller coaster day with several double ups and finished 18th. Just over half an hour later, the field had already been reduced to 11 with Martin Bartoš, Simon Böllinger, Francisco Arce, Adrian Buzan and Tony Veille all being sent to the rail in quick succession. Antonio Rubiano Prada was left short after a confrontation with Sperrer and fell in 11th while Sandro Pitzanti had to settle for 10th. The unofficial final table lasted less than 15 minutes until the clash of three pocket pairs brought Day 2 to a spectacular end. An overview of all players in the money can be found in the live reporting. Make sure to tune back in and follow the updates of the PokerNews live reporting team to find out who will be crowned champion here in Rozvadov.